Countryside is proposing a sustainable new community at Bishop’s Stortford South, land identified for development by East Herts District Council to help meet the existing and future needs of the town. Bishop’s Stortford lies in East Hertfordshire District, and the county of Hertfordshire. It is the largest town in the District, underpinned by good transport links including an important existing rail network. 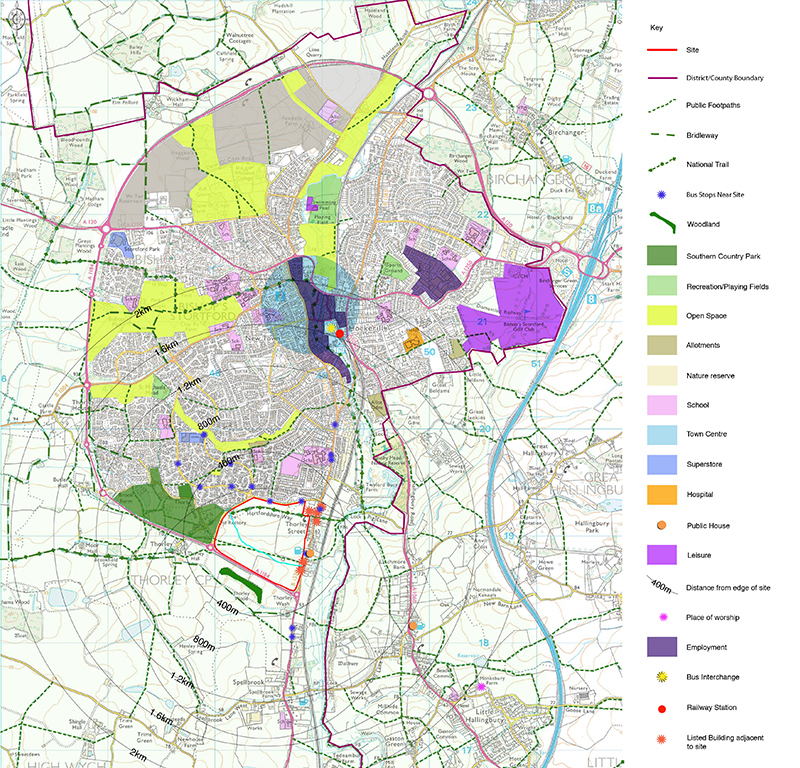 A new district-wide plan for the future of the area, created by East Herts District Council, includes proposals to deliver a sustainable new community on the land at Bishops Stortford South. The new East Herts District Plan seeks to address the District’s significant housing and employment needs for the period up to year 2033, making limited releases from the Green Belt. The development of this land could make a significant contribution to meeting the needs of new housing, particularly affordable housing as well as providing a significant boost to the economy. The new East Herts District Plan was submitted to the Secretary of State in March 2017. If the new East Herts District Plan is approved (found to be ‘sound’) by a Government appointed Inspector, the new East Herts District Plan is likely to be adopted in 2018 as a local framework. Although Bishop’s Stortford South is proposed for development by East Hertfordshire District Council in their new plan, Countryside were keen to engage closely with the local community as they worked to create a Neighbourhood Plan for the area of All Saints, Central, South and part of Thorley. Countryside have attended focus groups and worked closely with the Neighbourhood Plan group to help create a plan that could maximise the opportunity of any emerging proposals at Bishop’s Stortford South for the benefit of the community, and properly integrate this within the wider town. We always want to engage constructively with those interested in contributing. If you would like to speak with us please visit our Contact Us section. In March 2016 we invited members of the Neighbourhood Plan group to visit one of our new communities at Great Kneighton, located to the south of Cambridge. Whilst the architectural design response at Great Kneighton is specific to the location, the approach taken by Countryside to work in partnership with the County, District and community to create a new community of which we can all be proud is a practice Countryside carries across all its schemes. Find out more about Great Kneighton in this video.